Ninety-eight days. Sixteen houseguests. One moderately funny return from the Zingbot. Big Brother 17 ended its summer of betrayals, backstabs and backdoors with its biggest moment yet. A winner has been crowned! From the remaining three players, someone has claimed the half million dollar prize, one person got second place (with a sweet $50,000 consolation prize), and one left with nothing. It’s the night fans have been waiting for. Big Brother 17 started its summer with a newfound sense of purpose and motivation. Coming on the heels of master gameplay (but yet a boring season) from Big Brother 16 and the tumultuous controversy of Big Brother 15, fans were looking forward to an equally impactful summer. The “BB Takeover” twists offered early excitement with the return of the twin twist (Liz & Julia) and the inclusion of two Amazing Race players (Jeff & Jackie) before fading into twist obscurity. The early gameplay could hold its own without the added elements. Houseguests were gunning hard for the prize, quickly jumping into game modes very early on. As the season recap aired in the beginning of the episode, viewers got a look back at how each of the Final 3 made it to the end. Sitting at the end was poker player Vanessa, original twin Liz, and behind-the-scenes geek Steve. Vanessa and Liz had worked together for most of the game. Their alliance, which also included Austin, Julia, Shelli and Clay, controlled the majority of the early season and sent many of the houseguests out the door. Liz grew a closer bond with Julia and Austin to create the Austwins alliance. Vanessa, meanwhile, had used her influence to manipulate the house and control the game as a puppet master. She mastered the manipulation tactic and secured her safety over the weeks, like convincing houseguests to target each other without ever thinking about her. Steve, on the other hand, played a more personal and behind-the-scenes role. He kept quiet early in the first few weeks (to the point you barely noticed him); instead he focused on building genuine relationships and tried to keep the target off him. Just like with Liz and Vanessa, he won challenges to protect himself when needed and he joined alliances when he could. 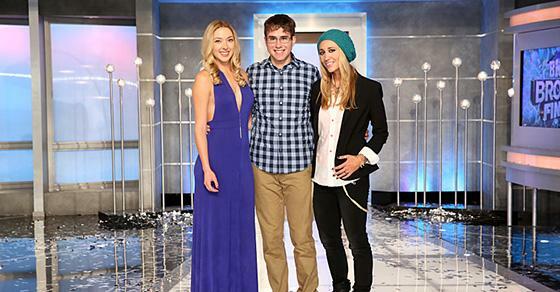 As the season progressed, Steve became more of a competition threat and proved to be equally as a worthy competitor alongside Vanessa and Liz. It’s finales like this that any reality TV fan would be happy to see. Liz, Steve and Vanessa equally played the game to a point where that they could make a reasonable case to the jury to try and win the money. And the debate definitely showed! From snippets shown from the jury, the former players were stuck between who to vote for the prize. All three had a good shot to win the game. Many of the former players (like Shelli, Jackie) respect Vanessa’s manipulative game play, but others like Austin think her tactics were underhanded; he still feels the bitterness of being blindsided. Liz equally won a lot of competitions and joined big alliances, but Johnny Mac thought she rode too many coattails to make it to the end. Steve, however, came off as a rat. While the jury felt a personal connection to him, some felt that he didn’t own up to his game moves and hid behind the emotion to protect himself. Vanessa came out as a frontrunner from the jury segments and all she would have to do was make it to the Final 2 for her shot to make her plea. However, as the past has shown, anything can happen in the last round of the final Head of Household (HOH). The final round of the final HOH is the biggest shift in power every season. No matter how manipulative someone is, a great competition threat or a lovable friend, none of that counts. All that truly changes the game is how much the final houseguests know about the jury members. What would they say to certain questions? Eight questions. Two houseguests. One large scale. Someone’s game could go up in smoke… and that’s what happened to Vanessa. Vanessa dominated the game for the majority of the season. She played the game really good. In fact, it was TOO good. Steve as the final HOH realized that she needed to go if only to help secure his potential chance at winning Big Brother 17. With her gone, both Liz and Steve had a shot at the prize. The early favourite to win the game was sent out the door. It’s a perfect example of reality TV education: sometimes the best player of the season isn’t the winner, the winner is the person who manipulated the final round the best. Vanessa lost one challenge and she lost the game, inadvertently helping Steve win the game. It’s almost poetic in a way. Steve came from behind to win Big Brother 17. His “Tortoise and the Hare” approach developed all season to a satisfying finish for a die-hard fan. He methodically thought out his speech to the jury and how he could talk circles around his competitor, Liz, when the time came. Liz reaffirmed another lesson in the reality TV world: think about and practice your case to the final jury. She had no idea what to say to convince the 9 jury members. Steve had the advantage and eloquently proved why he should be the deserving winner. He maneuvered the final round to create a situation where only he could be the rightful winner. 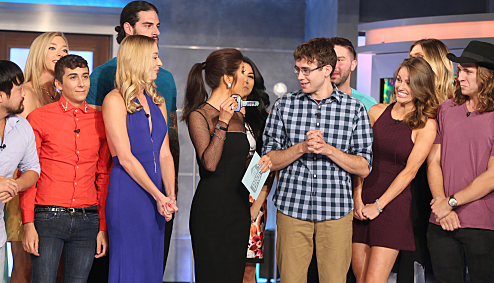 Big Brother 17 came to a satisfying end. While the best player (and arguably, rightful) didn’t win the game, another deserving houseguest took the prize. Big Brother isn’t a race, it’s a marathon. Three months have gone by and every week can change the balance of power. No one could’ve guessed that these three would be in the end or that Steve would’ve won against Liz. Big Brother is full of surprises and this year’s finale kept fans on the edge of their seats. Previous ArticleTV Review: The Player-"Pilot"